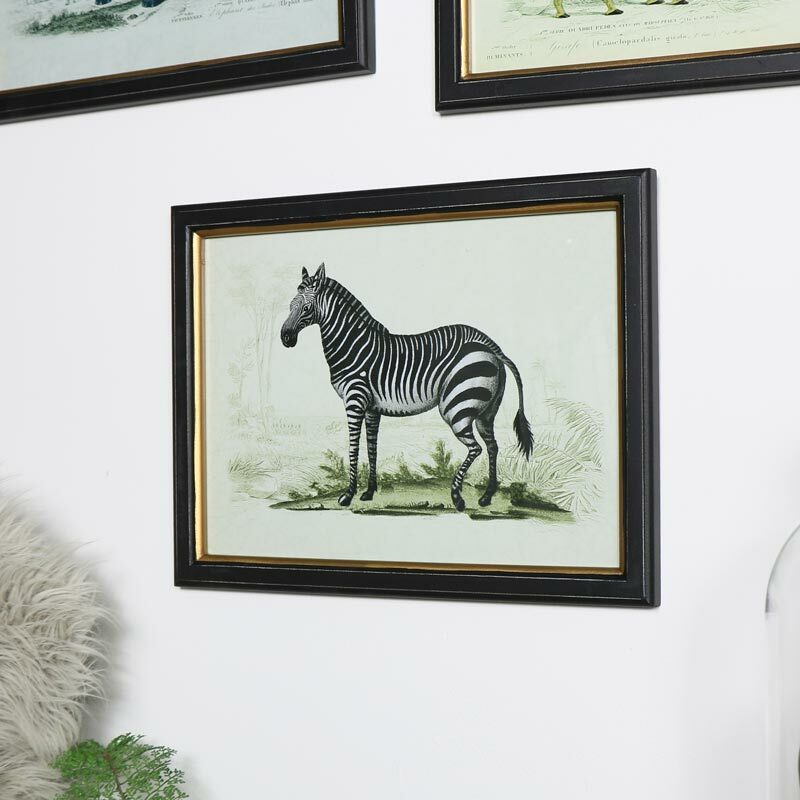 Create a great look in your home with this trio of prints. 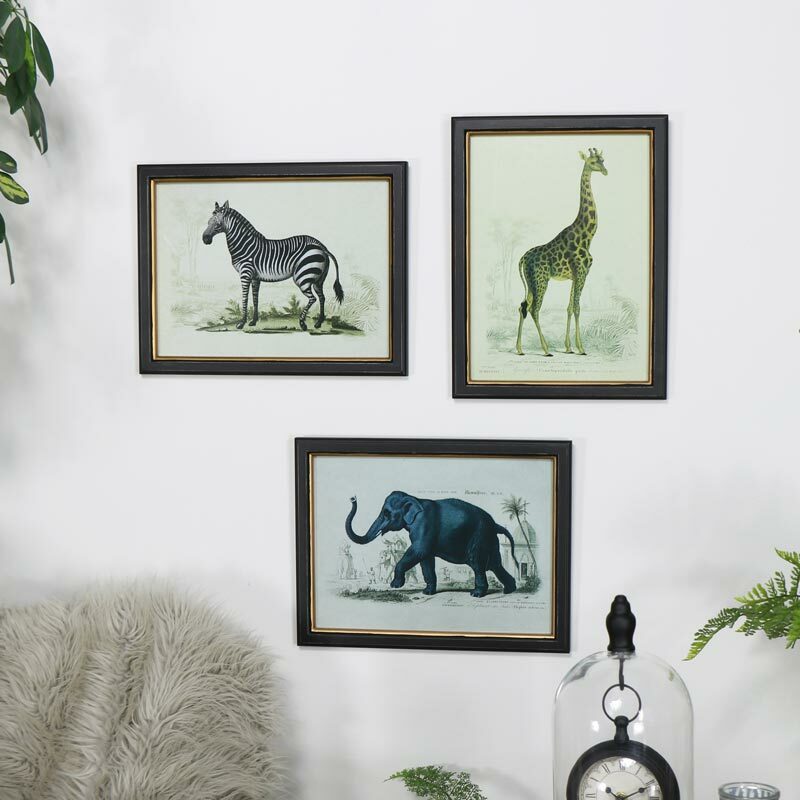 Vintage, retro style images of African wildlife, depicting an elephant, giraffe and zebra. Offering a botanical feel, these are a great addition to any decor. These prints will look fantastic wall mounted in the set of 3 or displayed individually. A great gift idea for anyone that loves nature and the idea of an exotic holiday see wild animals in their natural habitat. 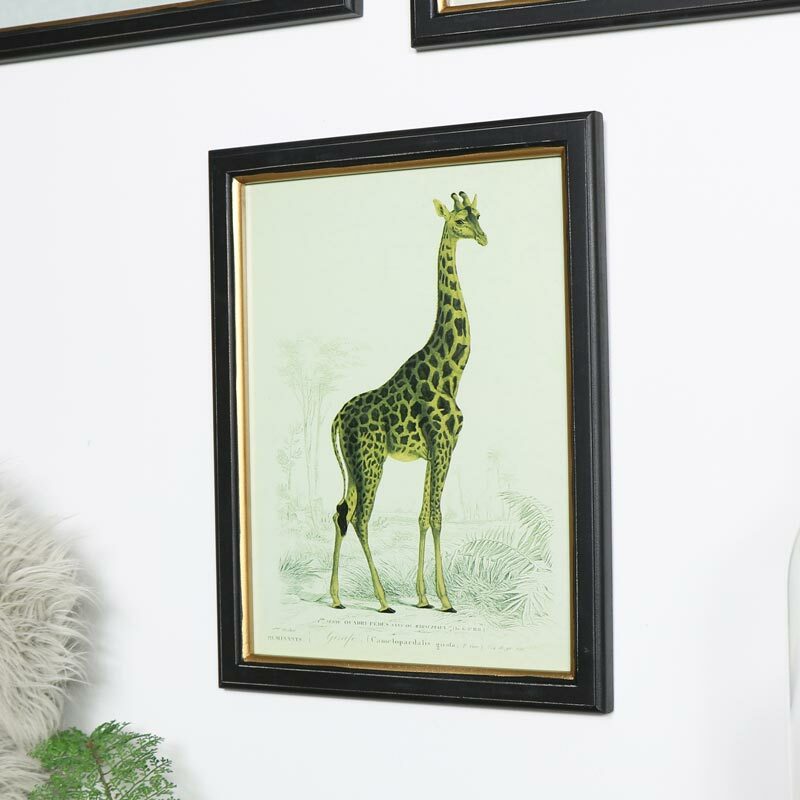 Each picture is framed in a rustic black and gold resin frame, glass fronted and wall mounted with a hook on the back for hanging. 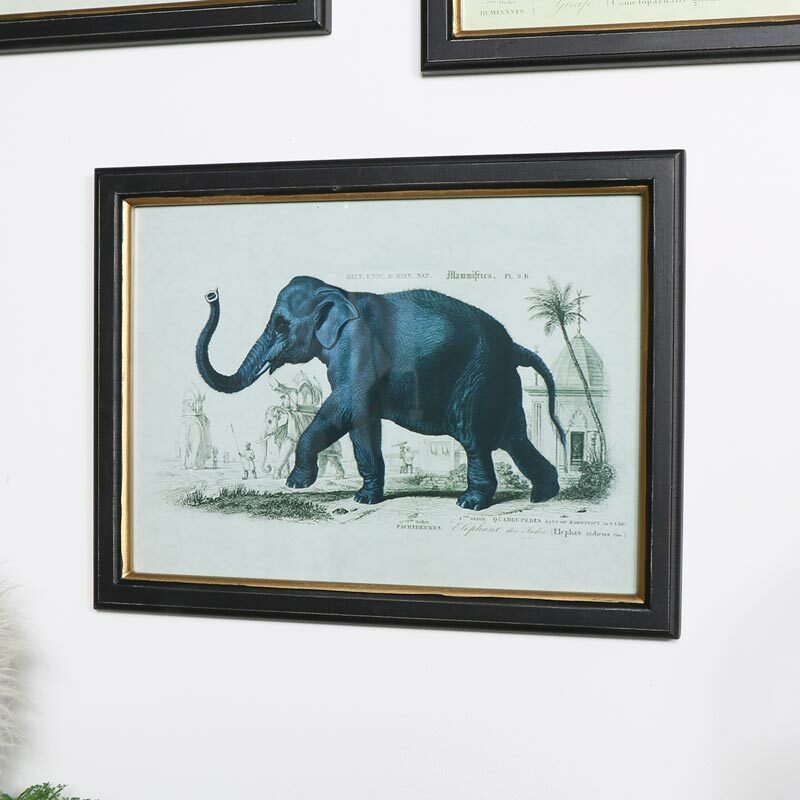 Decorate your home in a style that suits you with our wonderful range of wall prints, pictures and plaques.